If you are familiar with nonprofit organizations, you know that, often times, they are run by small teams. In addition to the Board of Directors, you’ll see an Executive Director as well as an employee or two. Because of the limited staff size, many rely heavily on the support of their volunteers. It should come as no surprise, but when you volunteer, you have the opportunity to meet other people who share your interests. Of course, the more frequently you volunteer together, the more you can build on your personal relationship. Studies from the London School of Economics had shown that participants became happier when they volunteered more often. Researchers found that volunteering created a personal sense of accomplishment that, in turn, lead to other beneficial effects. Learn more. You may not be looking for a new job, but volunteering can give you a reason to try something new. You can explore interests in passions that you may not find in your typical job. You will also practice teamwork, problem-solving and task management – great skills for anyone to expand upon! Yes, it’s true! Volunteering does more than put you in a good mood. Volunteers have been found to have longer longevity and less frequency with heart disease; additionally, they may be at a lower risk for memory loss. With all of the personal advantages behind volunteering, why not give it a try? Each year, Lions Pride hosts a sporting clays fundraiser, and we’re always in need of volunteers. This year’s event will be held on Saturday, June 8, at Milford Hills Hunt Club in Johnson Creek. Our volunteers have a wide range of tasks, including registering shooters, selling raffle tickets and working the stations. We’ve seen volunteers come back year after year because they enjoy participating in the events. In 2019, we’d love for you to join us. To get signed up, please contact us at prideoffice@lionspride.org. Here at Lions Pride, we like to acknowledge unique holidays and facts about the months that happen throughout the year that our readers may have not already heard about. We’ve written about Earth Day, Diabetes Awareness Month and World Sight Day. This month, we get to talk about another fun holiday – National Volunteer Month. It seems like the news that we ever hear about in the media is bad news? By celebrating National Volunteer Month, we get a chance to recognize the good that happens all over the world, but may go unnoticed. Would you be able to guess how many volunteers there are in the United States? The number might more than you imagine! According to the Bureau of Labor Statistics, approximately 62 million Americans volunteered through or for an organization at least once between September 2013 and September 2014. Wow! We think one of the best parts about volunteering is that you can individually serve a cause that you care about in whichever way you choose. Plus, whether you are able to volunteer for an hour or an entire day, every bit of time makes a difference in the eyes of the organization. National Volunteer Month also gives us an opportunity to highlight one of our favorite events of the year. In seven short weeks, we will be holding our Annual Shoot. On Saturday, June 13, our 8th Annual Shoot will take place at Milford Hills in Johnson Creek. We are looking for volunteers to make this event another success. Our volunteers hold many different roles throughout the day including shooting station attendants, raffle ticket sellers and registration workers. No experience is necessary, and everyone will receive lunch and/or dinner. The Lions Pride Shoot is an event you won’t want to miss! In the past, guests have chosen to join us for lunch and dinner and walk the course to see the shooters in action and breathe in the beautiful scenery. We’d love for you to join us. To become a volunteer, please contact us directly by calling 715-677-7000 or emailing us at prideoffice@lionspride.org. 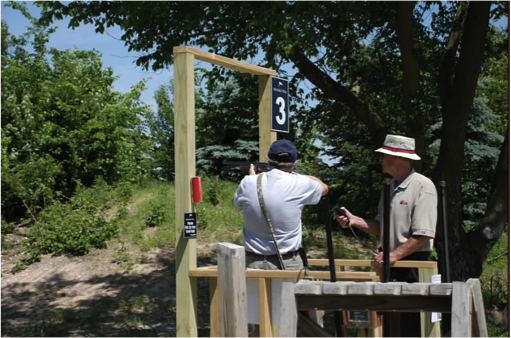 You can also register as a shooter or sponsor, for a copy of our brochure click here. Thank you for your support! Nonprofit organizations rely a lot on the support of their volunteers. Many nonprofits have a limited number of employees so there are ideas that would never be thought of and plans that would never be implemented if not for the generosity of gracious volunteers. Volunteering is a wonderful way to support an organization, but did you know there are also benefits to you as a person? Volunteering is good for your body and soul. There are a number of mental and physical benefits of volunteering such as increasing your self-confidence, combatting depression by keeping you from social isolation and helping you stay physically healthy. By volunteering, you are staying connected with the people in the community. Volunteers are considered the glue of the community because it keeps everyone together. By volunteering, you can increase your communication skills and make new friends with others who share your interests. Volunteering brings fulfillment and fun to your life. When you volunteer, you can experience interests and passions that you may not find in your day job. It can also act as an escape from your daily responsibilities of school, work or family commitments. Volunteering may even help you advance your career. Whether you are looking for a career change or not, volunteering can help put important skills to work. By volunteering, you can practice teamwork, problem solving, organization and task management all of which are very important to any job. We are always in need of volunteers for our annual Sporting Clays Fundraiser, this year to be held on June 14, 2014, at Milford Hills in Johnson Creek. 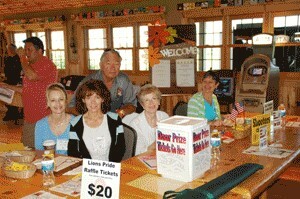 Our volunteers work the shooting stations, sell raffle tickets and help with registration. We’d love for you to join us! To get signed up, please contact us at prideoffice@lionspride.org. 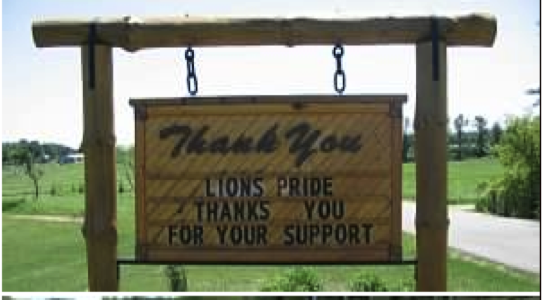 There’s one phrase that we never tire of saying, “thank you!” We appreciate your support of the Lions Pride Endowment Fund.